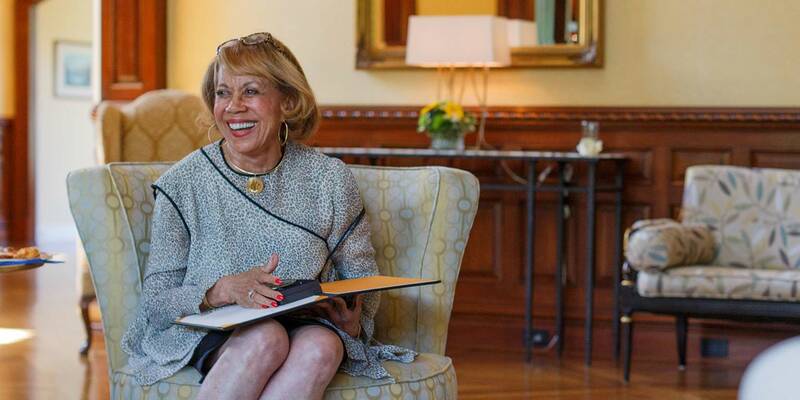 Alpha Blackburn has been a pillar of the Indianapolis community for more than four decades as an award-winning fashion designer and editor, a successful businesswoman and CEO, a civic leader and a community volunteer, as well as a generous philanthropist. She is also a tireless advocate for the arts and a champion for education at IUPUI and beyond. "I know the value of scholarships firsthand. I am the youngest in a family of eight, and I would not have attended college had I not won a national competitive scholarship to Howard University in our nation's capital," said Blackburn. "I graduated with a B.A. in design and an M.F.A. in painting and art history." In 2003, she established the Alpha Blackburn Scholarship for the Arts at Herron School of Art and Design at IUPUI to support and encourage young artists. Any full-time incoming freshman who is enrolled at Herron and exhibits outstanding creative talent is eligible with special consideration given to students from underrepresented populations. "I am an artist and a designer of both interiors and fashion, and my late husband, Walter, was an artist and architect," Blackburn said. "He designed Herron's original sculpture and ceramics facility on Indiana Avenue, now the Eskenazi Fine Arts Center. Walter actually took classes at Herron as a child. Funding a scholarship at Herron was a natural choice." As a member of the Herron School of Art and Design's Advisory Board, Blackburn has provided inspiration, guidance and vision to its students, faculty and staff. 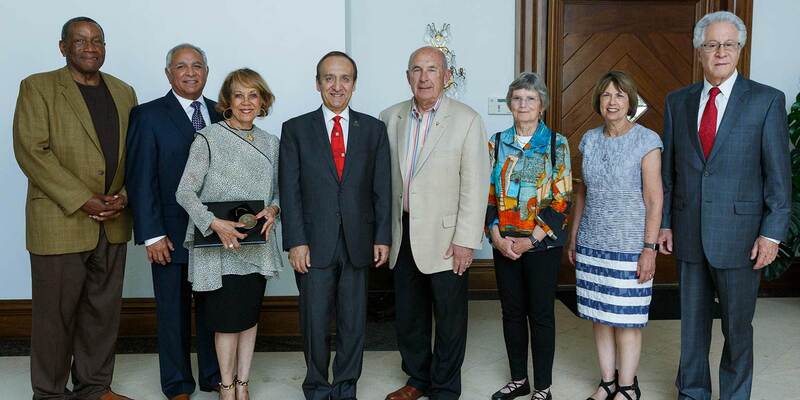 She has also served on the IUPUI Board of Advisors and in 2017, Chancellor Paydar honored her with an IUPUI Chancellor's Medallion for all that she has done for the IUPUI campus and its students. In addition to supporting Herron students with scholarships, Blackburn provides scholarship opportunities via the Walter Blackburn Scholarship Fund, established in memory of her late husband which provides four-year support for students pursuing architecture, fine art, performing arts, graphic arts or design on any campus. "I can attest that the gratification from having helped transform the lives of these young people is vastly disproportionate to such a small investment. I am convinced that our students will, like me, want to help the next generation of students, just as they were helped. Now that is a worthy legacy," Blackburn said. Blackburn served as the fashion editor at Indianapolis Monthly from 1980 to 1990 and hosted daily and weekly television talk shows locally from 1972 to 1981. She is the chairperson of the Indiana Civil Rights Commission, a position that she's held since 1987. She has also served on the board of the Indianapolis Symphony Society, Key Bank Regional Board, Indianapolis Cultural Development Commission and the Indianapolis Museum of Art.